Aegirine, also known as Acmite, is a sodium iron silicate mineral commonly formed in the alkali-rich volcanic rock. It was discovered in 1835 in Norway and got its name from Ægir, the Scandinavian god of the sea. 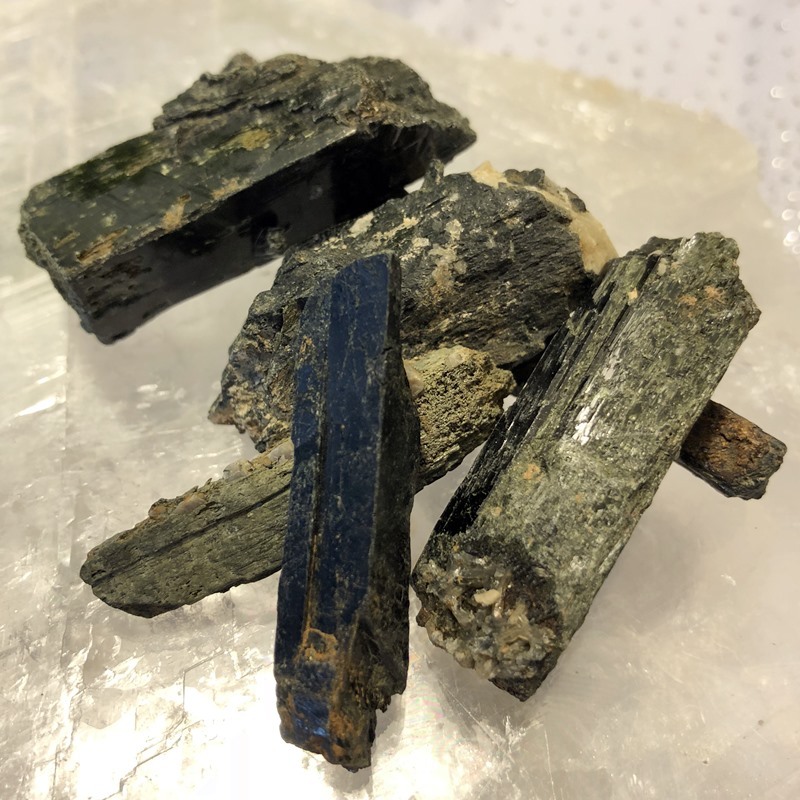 Aegirine has been seen as black, dark green, or brown and can be found in Russia, Canada, South Africa, and the U.S.A.
Aegirine is a very strong stone that operates on a high vibrational frequency. It aids in clearing and protecting, especially that of which is filled with negative energy. It’s a confidence driven stone and will help with anyone who is feeling a lack of self-love and appreciation. By helping you realize how strong you truly are, you’ll be able to attract the positive energy you may not have realized was even around you. Aegirine is a healing stone and will greatly improve one's mental health. It will assist in breaking you out of tireless daily routines that are filled with negativity, and push you towards focusing on yourself. For anyone who is struggling with addiction of any sorts, Aegirine will bring out the strength from deep within that may have been buried beneath internal imbalances. There are a lot of stones that work well with Aegirine, one such being Moldavite. The strength of both these stones activates and aligns all chakras and is extremely powerful in banishing negative energies and entities. Aegirine can also be found within Nebula Stone, along with a combination of other minerals. Using Aegirine and Nebula crystals together will combine their powers with endless limitations.